The Heritage town of Ardara famed for it’s handwoven tweeds, knitwear and hospitality, nestles at the mouth of the Owentocker river. More recently it has been dubbed the ‘Capital of the Festivals’, because it offers so many events during the year ranging from the ‘Cup an Tae’ & Johnny Doherty festivals featuring traditional Irish music, to the ‘Matchmaking’ and ‘Melting Pot’ celebrations, with the Ardara Shows & ‘Walking Festival’ dotted in between. 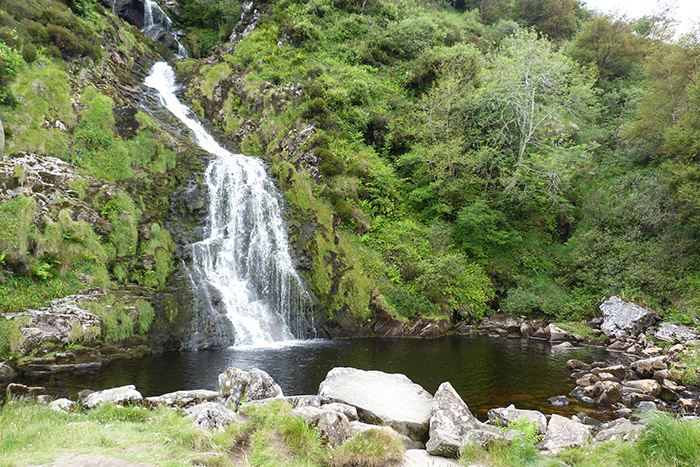 Within a short drive or cycle lies the beautiful scenery of Glengesh, the Easaranca Waterfall, the Dolmen Portal Tomb, Maghera Caves and much more. Whether it be fine food, music, walking or water sports to name a few, Ardara has it all to offer.